Free. In English. Registration is not required. Seating is limited and available on a first come, first served basis. A light lunch will be served. Under the Canadian Strategy for the Americas, announced in Santiago, Chile in 2007, the Harper government has committed itself to making the Americas a top priority in Canadian foreign policy and increasing Canada’s presence in the region. The strategy is frequently criticized as limited and scope and overly focused on economic objectives. This paper suggests that we should go beyond approaches focused solely on the economic motivations of these policies to look at some of the underlying cultural assumptions embedded in them. This approach is illustrated with reference to two specific cases: Canada’s new Global Markets Action Plan which was announced by the Department of Foreign Affairs, Trade and Development (DFATD) in 2013, and the 2009 Canadian requirement for Mexicans to acquire a visa to Canada. She argues that the nature of recent policies is related to these processes of identity construction, particularly the distinction between “us” and “them” which undermines processes of empathy and common identity constructions. 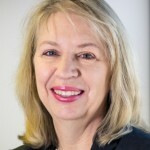 Laura Macdonald is a Professor in the Department of Political Science and the Institute of Political Economy at Carleton University, and currently Director of the Institute of Political Economy. She is also a member of the McLeod Group. She has published numerous articles in journals and edited collections on such issues as the role of non-governmental organizations in development, global civil society, citizenship struggles in Latin America, Canadian development assistance and the political impact of the North American Free Trade Agreement (NAFTA) on human rights and democracy in the three member states.. Current projects include: a) a research project funded by the Social Sciences and Humanities Research Council of Canada titled “From minor player to major actor: The role of Canada in Latin America” and b) research on social policy and violence in Mexico City. ** Please note: Photos and/or video recordings of this event may be posted on the CIPS website, newsletter and/or social media accounts.